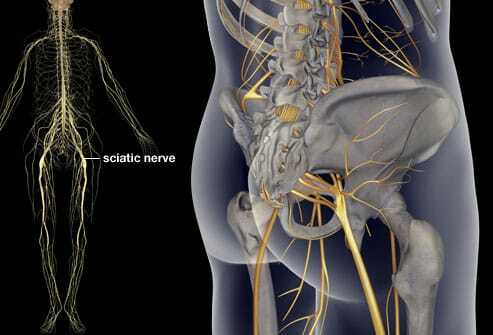 Sciatic Nerve: Why Does It Ignite? The sciatic nerve is the longest and biggest nerve in the human body. The nerve starts in the back and continues all through the leg. The parts of this nerve connect the back to the bottom of the foot. Because of its size and length, this nerve plays an important role in controlling muscles used to move the leg. In most cases, sciatica is caused by a bone spur in the spine pressing on a nerve or a herniated disk. Kennewick Chiropractic Injury Clinic can help ease sciatica pain. Sciatica is an inflammation of the sciatic nerve, whose roots are found in the lumbar-sacral tract of the vertebral column. The sciatic nerve makes its way through various muscles, crosses the pelvis and runs along the thigh, and then divides into two branches (tibial nerve and common peroneal nerve) at the height of the anatomical part behind the knee. These symptoms are all the more intense the more severe the compression level of the sciatic nerve roots. Sciatica is usually treated with rest and drug therapies, which may include anti-inflammatories, muscle relaxants, and pain killers. Once the pain has eased, it is possible to proceed with physiotherapy, which has the important role of working on posture correction and reducing the symptoms more and more. In most cases, the problem of sciatica is solved within a maximum of two months. Where medications and physiotherapy do not seem to be sufficient, the doctor may suggest resorting to ozone therapy, which aims to reduce nerve compression. More rarely is the surgical intervention of discectomy, which in general is reserved only for the most severe cases of a hernia expelled, so when the intervertebral disc has slipped in full out of its seat. In many cases, the compression of the roots of the sciatic nerve is related to a disc-root clash due to herniated disc (in herniated discs an outgoing of the nucleus of an intervertebral disc that can push on the roots occurs). But if the disc herniation is a frequent cause of sciatica especially among the younger ones, let’s not forget the arthrosis processes that affect the spine in later life. Arthrosis, in fact, can lead to bone outgrowths precisely in those channels of the spinal column where roots of the sciatic nerve pass also, in this case, therefore, compression can occur. Finally, there are diseases that can simulate the symptoms of sciatica, and therefore must be excluded with appropriate investigations that your doctor will advise you based on your medical history. 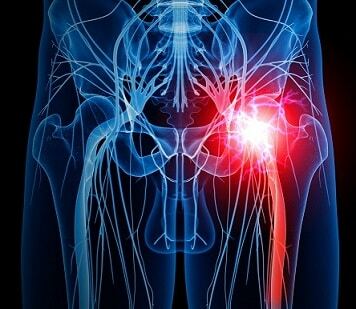 If you have an inflamed sciatic nerve and want to cure it, these remedies can be very useful. In case you find yourself in an acute phase of pain, with the impossibility of moving, being in bed a few days is definitely the best condition, so as to avoid further irritation of the nerve. Once you have seen your doctor, it will be useful to start, right away, the prescribed therapy (usually anti-inflammatory and muscle relaxants). The team of consultants at Kennewick Chiropractic Injury Clinic will provide you the guidance related to your treatment and how long it will take to heal. We are also provide services that include pain-relieving services and massage therapy that can be beneficial for your treatment. Call us now to book an appointment! Ropper, A. H., &Zafonte, R. D. (2015). Sciatica. New England Journal of Medicine, 372(13), 1240-1248. Valat, J. P., Genevay, S., Marty, M., Rozenberg, S., &Koes, B. (2010). Sciatica. Best practice & research Clinical Rheumatology, 24(2), 241-252. Dahm, K. T., Brurberg, K. G., Jamtvedt, G., & Hagen, K. B. (2010). Advice to rest in bed versus advice to stay active for acute low‐back pain and sciatica. Cochrane database of systematic reviews, (6). Jacobs, W. C., van Tulder, M., Arts, M., Rubinstein, S. M., van Middelkoop, M., Ostelo, R., … &Peul, W. C. (2011). Surgery versus conservative management of sciatica due to a lumbar herniated disc: a systematic review. European Spine Journal, 20(4), 513-522.